I was digging through some of my craft storage boxes a few weeks ago and happened upon this not-so-little treasure. 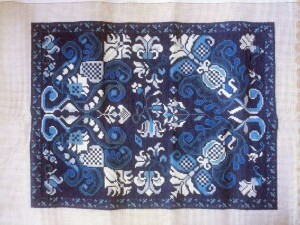 This is the nearly-finished needlepoint project I worked from a pattern in the book Icelandic Patterns in Needlepoint. Years ago. Seriously – at least eight years. It’s been patiently waiting in that box ever since. All for want of backing and hanging loops. Geez! Get moving on that! All of those hours of work deserve to be out on display. 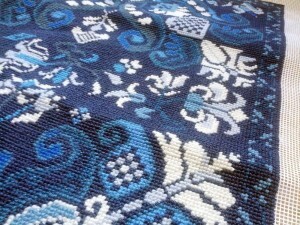 What material to use as a backing fabric? Whether to hang it horizontally or vertically? 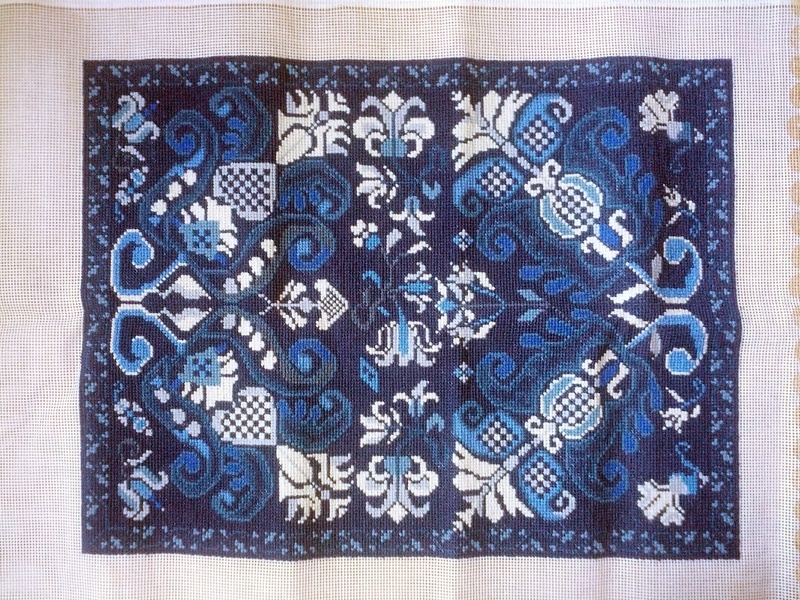 This entry was posted in Needlework and tagged blue, needlepoint, wool. Bookmark the permalink.